In our never ending quest to show our DaknoIDX clients more value, you can now search for sold/closed residential properties on Triangle Multiple Listing Service (TMLS). Not a member of the Triangle MLS, don’t worry. This great new feature is being rolled out to all MLS boards that allow us to display sold data. How to Use this Cool New Feature! 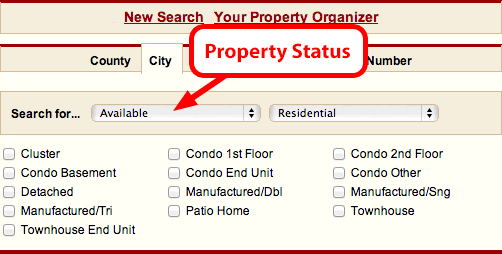 To search for sold properties, select “Sold/Closed” instead of “Available” on the Search for… line. 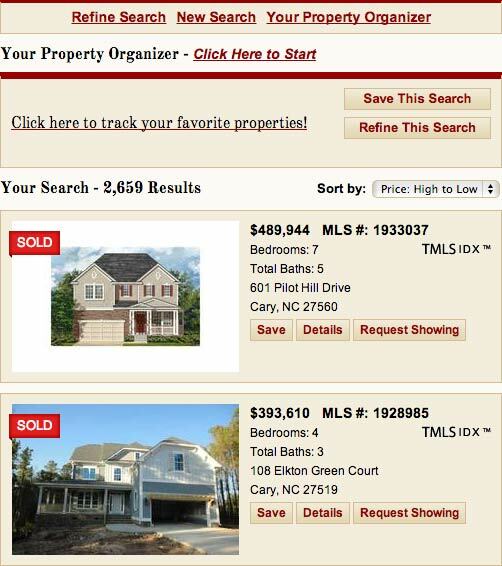 Sold properties will display with a sold ribbon overlay on the image. Searching for sold properties works the same way as available property searches. You can create saved searches to share or integrate on your website just like you would for a saved search for available properties. Think More Ways to Start Conversations with Buyers and Sellers! Agents know buyers and sellers love historical sold data. It’s valuable information consumers use to make smart decisions regarding offers to purchase and pricing of properties. That means sold data can be leveraged for more lead generation. Increase your SEO by showcasing market activity with unique property features such as recent homes sold with mother-in-law suites, first floor master bedrooms, homes with pools and other lifestyle-based searches. Using sold data will offer you many more effective ways to convey value to search engines and site visitors. Now you are truly differentiating yourself and your site as the ultimate real estate resource! More Sold Data and MLS Boards Coming Soon! We are actively working on adding sold data to supporting boards. Keep an eye on our blog for future announcements. Tuesday Tip: Creative Closing Gifts that Make You Memorable!